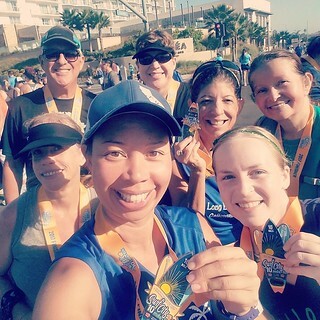 On Sunday morning I ran the Surf City 10 race with a bunch of my running buddies. Since it was the weekend after the Long Beach Marathon I was originally only registered for the 5K, but I was convinced to upgrade to the 10-mile distance instead. Perhaps not the best choice I’ve ever made. Luckily I was feeling amazingly recovered from that train wreck of a marathon the week before, probably because I walked so much near the end of the 26.2 miles. My plan for surviving the 10 miles was to run it slow and steady in case I had any lingering issues. My short shakeout runs after the marathon had been pretty terrible, maybe due to he lower carb content of my October diet. My energy levels seem to be higher now that I’ve been on this Whole30-like plan a little longer (that first week was brutal! ), but my workouts have still not been amazing. (Although there’s a host of reasons that could be the case, not least of which being that the Los Angeles summer is still in full swing. I’m so ready for fall.) My pace for the 10-mile race was indeed relatively slow, but I felt surprisingly strong and crossed the finish line without being completely drained. That result was very encouraging. I have a lot more running plans and at least one race on my calendar before these 30 days are up and I want to enjoy as many miles as possible. I picked up with my training plan for the Dopey Challenge in January and I’m supposed to run 7 miles this Saturday and the 17 miles on Sunday. That’s going to be rough, especially since it’s forecast to be 90 deg in Seal Beach over the weekend. And even hotter next week. This is insane! We may have another record-breaking Halloween this year! I intended to go for a run after work today, but on the way home I made the command decision to skip it. It’s been really hot this week (fall is MIA in Los Angeles, which has started to become an October tradition) so I wasn’t excited about running in the lingering summer weather tonight. And besides that, there was the fact that I hadn’t made much progress on my chores over the last several days so my house was a mess and my meals weren’t all prepared. I had a to do list a mile long so I figured skipping my run would give me a chance to catch up on all of these things. I have to admit that I was excited to catch up on some television as well! Over the weekend I binge watched 6 of the 8 episodes of the first season of “Stranger Things” and I absolutely loved it. I have no idea why I didn’t watch it a year ago. So when I got home this evening I fired up Netflix and finished off the series while cooking, washing dishes, and paying bills. The show was perfect even if the housework was super boring. 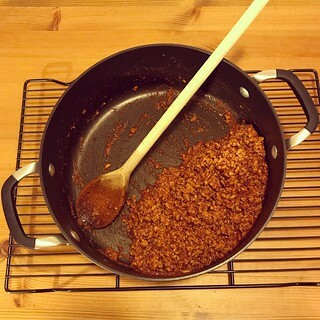 In order to avoid having carnitas for lunch every day this week I whipped up a batch of turkey taco meat using this recipe for homemade taco seasoning. It sure smelled good while I was making it, but I’ll have to let you know how it tastes tomorrow. When the turkey was done I was able to put together my lunches for the rest of the week. After I was finished with “Stranger Things” I turned on last week’s episode of “Once Upon A Time” as I completed my chores. It’s still my favorite TV show even after basically completely rebooting itself this season. I like the new direction so far, but we’ll see where the rest of the season goes. Now it’s late and I should have gone to bed an hour ago. With all of this food preparation and dish washing afterwards I haven’t gotten enough sleep since September! Yesterday was a very busy day. 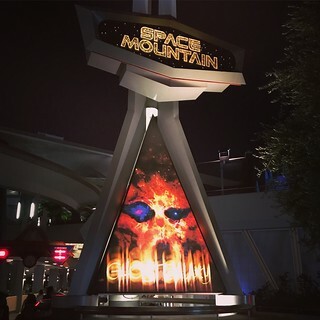 I was exhausted when I got home from Disneyland at close to 11 PM, but there were still several things I needed to do before bedtime. The most important item on the list was assembling my lunch for Monday. Mornings are hectic enough without having to make breakfast AND lunch, so even though I was tired I dragged myself into the kitchen to put together a tupperware of carnitas, sweet potatoes, and vegetables. 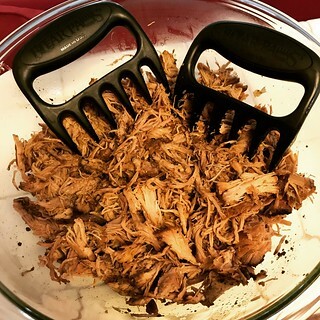 I slow cooked the carnitas over a week ago (it’s been in the freezer since then), but this was actually going to be my first opportunity to sample it. Similarly, as I was rushing to get ready for work this morning I had my first helping of the Autumn Breakfast Skillet that I cooked on Saturday. Based on the recipe’s relatively short list of ingredients I wasn’t sure how much flavor the finished product would have. Luckily I was pleasantly surprised when I heated some up this morning and found out that it was delicious! I was running late for a meeting or I’d have scrambled a couple of eggs to go with the hash. Maybe I’ll try that tomorrow. And then at lunchtime I was happy to discover that the carnitas was really tasty too, especially when paired with roasted sweet potatoes. All of my meals today were winners! That certainly makes sticking to an eating plan easier. 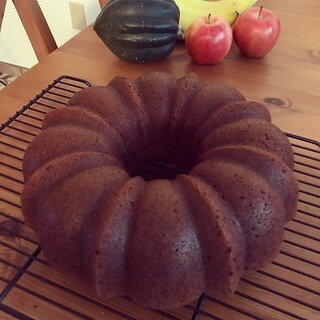 As a side note, I took the remaining pumpkin bread (enough to fill two tupperwares) to work with me today. It sat on my desk looking absolutely scrumptious until 2 PM when I gave away every last piece at our weekly staff meeting. 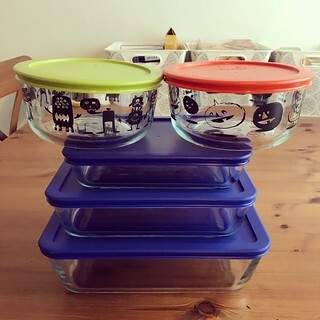 When I took the lid off the tupperware the pumpkin spice smell was intoxicating, but I didn’t eat a single bite. Another Whole30 (or whatever you want to call my version of this diet) win! I’ve had a busy day, and now it’s insanely late and I’m exhausted. You’ll have to wait until at least tomorrow to read about my crazy day. For now, here’s my not even close to healthy menu for the day. 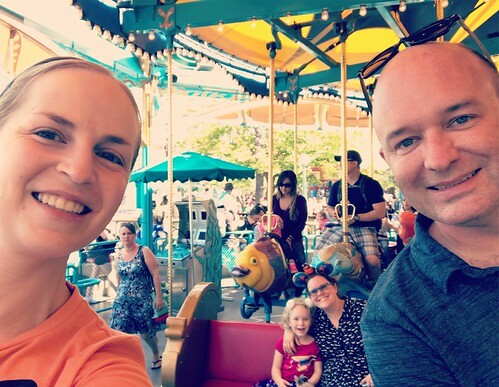 Between the Surf City 10 race this morning and Disneyland this afternoon/evening my usual routine was completely thrown off. I have some regrets, but not too many. If I obsess about every bite that goes into my mouth I’ll go crazy, and that’s no way to solidify new eating habits. At least not for me. More tomorrow! P.S. I’m not including the energy gummies and 10 oz of Pedialyte that I had during the Surf City 10 this morning. As far as I’m concerned race fuel doesn’t really count. I burned over 900 calories while running so I figure it was sugar well ingested. After the last couple of weekends my refrigerator and freezer are full of food that I’ve cooked while watching Florida football games. I used to keep myself busy during Gator games by baking cookies, but a few years ago I realized that wasn’t the healthiest option. It might have made my co-workers happy, but it made my pants size larger! Also, those four hours every Saturday are the perfect time for me to get a lot of food prep done for the coming week. 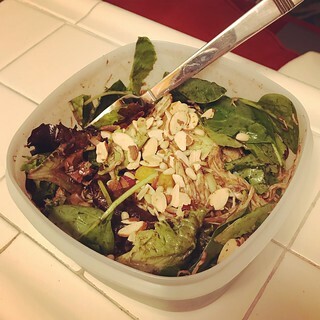 Finding time to cook or even portion out food into meal-sized containers during the week is next to impossible so the more I get done on the weekends, the better. Currently my fridge and freezer already have several different kinds of meat and vegetables ready for lunches, as well as plenty of leftover tomato soup and pumpkin chili for dinners. I probably have two week’s worth of midday and evening meals ready and waiting. So that means I could just relax during the Texas A&M vs. Florida football game today, right? Of course not! In order to avoid being a total couch potato I tackled one of the Whole30-approved breakfast recipes that I’ve been collecting. It’s called Autumn Breakfast Skillet and my friend Natalie got it from one of the Against All Grain cookbooks, but it’s not in the one I own (and I couldn’t find it online). 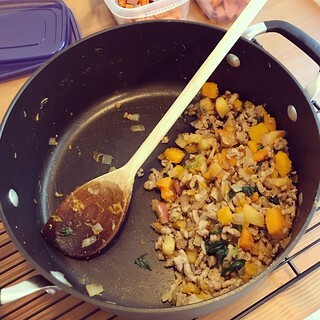 It’s basically a combination of homemade pork breakfast sausage, onion, butternut squash, spinach, and apple. As you can tell from the picture, my execution wasn’t exactly pretty. The butternut squash started to get mushy and fall apart near the end, but that’s OK. I’ll have to let you know how it tastes tomorrow after I try some. Assuming it isn’t terrible, I’ll have some pre-made grab-and-go breakfasts to save a little time this week. No more scrambling eggs at 7 AM! On the other hand, after discovering how delicious eggs with sliced hot dogs are I might make the sacrifice anyway! P.S. The egg casserole that I had at my Galloway running group’s breakfast this morning did have a little cheese in it. I ate some anyway because I was hungry, and also because my only other option was to fill up on grapes! (I still ate a whole bunch of grapes, but at least I got a little protein from the eggs.) And given that I gave in to my craving for pumpkin bread again today, that little bit of cheese is the least of my problems. This morning I had an early meeting at work and I was running late due to the fact that I stayed in bed for 15 minutes (scrolling through Facebook, of course) after my alarm went off. 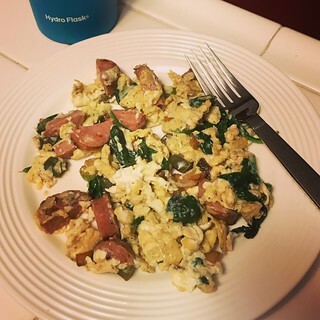 I didn’t have time to spend the extra few minutes sauteing the vegetables for my scrambled eggs so instead I just threw a sliced up hot dog in the pan with the eggs. I was delighted to discover that Applegate hot dogs are Whole30-compliant, and also tasty! I’ve been using Aidell’s chicken apple sausage in my eggs until now and it’s delicious, but this morning slicing up a hot dog was just quicker and easier. It felt like a silly toddler breakfast, but it turns out hot dogs and eggs go together really well! I will be having that combination again very soon. The one downside is that my hasty morning meal didn’t include any vegetables and I felt guilty about that. So to compensate for the deficiency I ate a big salad for dinner after I got home from my boot camp class. Problem solved! Unfortunately one thing I ate (or tried to eat) today was not as palatable. When I was at Target the other day I saw KIND Pressed bars, made with fruit, veggies, and chia seeds, and I was intrigued. It’s hard to find healthy (or healthy-ish) snacks that will satisfy my craving for something sweet that seems to rear its ugly head shortly after lunch every day. So I bought a box of the pineapple coconut chia flavor bars and hoped they would fit the bill. Unfortunately this afternoon when I tried one the flavor was very strong and off-putting. I’m not sure how the pineapple/coconut combination can be anything but delicious, but somehow KIND managed it. I tried to finish the bar, but I just couldn’t. I went for a tried-and-true banana with almond butter instead before going to the gym. I’ll take the rest of the KIND bars to work and see if there are any takers there.